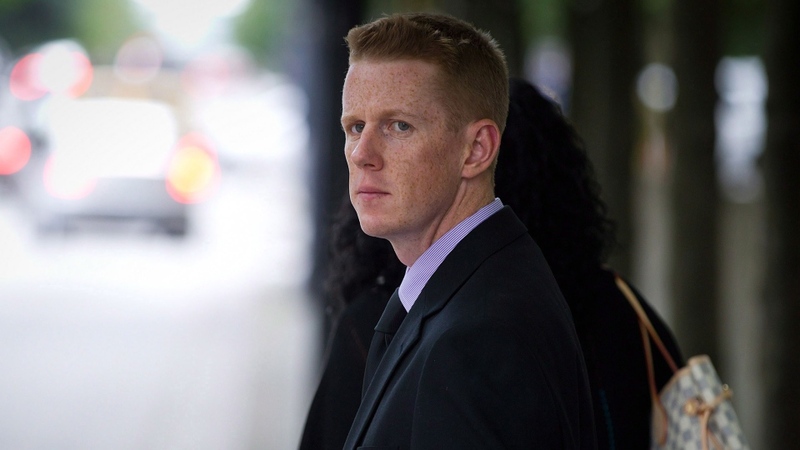 VANCOUVER -- It is impossible to say for certain that one of the four Mounties who confronted Robert Dziekanski at Vancouver's airport worked with his three colleagues to concoct a story about what happened that night, says a judge who found the officer not guilty of perjury Monday. Even an explosive video shot by a traveller may not hold the full story about what happened when Dziekanski was zapped repeatedly with a Taser before dying on the airport floor in October 2007, B.C. Supreme Court Justice Mark McEwan said his verdict. Const. Bill Bentley had been facing a charge that he lied at a public inquiry into Dziekanski's death, but McEwan said there are "other explanations, inconsistent with the guilt of the accused, that remain open on the evidence." When the verdict was pronounced, Bentley bent over and cried into a tissue. Whether the verdict will change what happens with the perjury charges against Bentley's three colleagues is not clear. Crown counsel spokesman Neil MacKenzie said the special prosecutor will take a close look at the ruling. "Each of these cases is determined on its own specific facts," he said. "I don't want to speculate about what the effect of this decision may be other than to say that obviously the cases contain some interrelated facts." He said the decision in one case won't necessarily determine what takes place in the other trials. Bentley was the first to be tried for perjury for his testimony during the 2009 inquiry, which was called to find answers about what happened the night the officers responded to a call about a distraught man throwing furniture in an arrivals area. Bentley said in his notes was Dziekanski came at the officers screaming and brandishing a stapler, prompting police to use the Taser several times and wrestle Dziekanski to the ground. But the video, shot by traveller Paul Pritchard, appeared to contradict some of Bentley's notes and statements. During Bentley's trial, the Crown called several witnesses from the airport and prosecutors relied on a comparison of the police officers' notes and statements. Prosecutors tried to prove the collusion by relying on similarities in the four officers' notes and statements. The fatal confrontation fuelled a national debate about the safety of Tasers, prompting the Braidwood Inquiry that forced Bentley and the other three officers to account for why they used so much force so quickly on a man who, on the surface, appeared calm when police arrived. The Crown argued at trial that Bentley and the other officers colluded on their stories to homicide investigators and then lied at the inquiry to cover up the deception. "The peculiar nature of this case is that the alleged falsehood is that at the inquiry, Mr. Bentley lied about lying," McEwan wrote in his ruling. "The Crown has not shown that in any particular (allegation), Mr. Bentley made a false statement knowing it to be false and with intent to mislead the inquiry. The Crown has advanced a suspicion based largely on circumstantial evidence." Commissioner Thomas Braidwood's final report concluded the officers used too much force and had no justification for using the Taser. But McEwan found that when Dziekanski picked up the stapler, he could be seen to be combative. "It is quite possible that the Pritchard video did not capture the gestures several witnesses observed that would be consistent with Mr. Bentley's note that Mr. Dziekanski 'came at' the police because it was taken from behind Mr. Dziekanski." 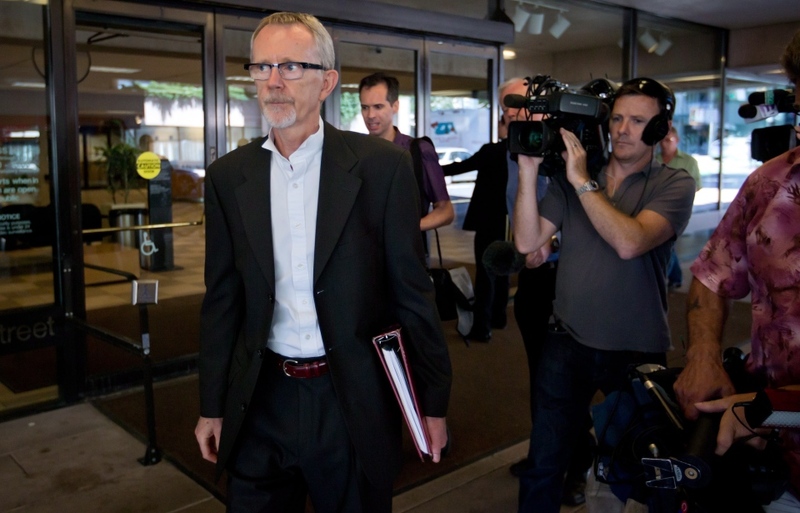 During final submissions, McEwan interrupted the Crown several times, raising doubts about the Crown's theory, and noting civilian witnesses made the same sort of mistakes as the Mounties. McEwan said in his ruling that while all the officers' statements say Dziekanski was combative and yelling at them, they aren't "uniform." "It is almost impossible to prove a subjective assertion that there was an explanation other than that Mr. Bentley was wrong." 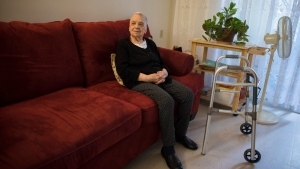 The Braidwood report prompted the province to appoint a special prosecutor to review the case. In May 2011, the prosecutor approved perjury charges against Bentley, Const. Kwesi Millington, Const. Gerry Rundell and former corporal Benjamin Robinson. The other three officers are expected to face separate perjury trials later this year or early next year. Bentley had been working as an RCMP officer for just over a year when Dziekanski died. In the video, Bentley can be seen hopping over a railing and walking through a sliding security door as he and the other officers approached Dziekanski, who stood with his hands by his sides. Within seconds, the officers surrounded Dziekanski and one of them fired his Taser multiple times, causing Dziekanski to scream and writhe on the floor. The video was played countless times at the inquiry, with Bentley and the other officers narrating the clip with their versions of what happened. Bentley testified that, based on the 911 call and Dziekanski's appearance, he approached Dziekanski prepared for a possible fight. He said at first, Dziekanski was calm, but then he became "unco-operative" when he threw his hands up and walked away. Bentley testified Dziekanski picked up a stapler, turned toward the officers and swung it in their direction, with the stapler coming within a foot of him. The video does not show Dziekanski swinging the stapler, but his back is to the camera -- a limitation the officers' lawyers focused on during the inquiry. Bentley was also confronted at the inquiry with his own notes from that night and his subsequent statement to homicide investigators. He included the following account in his notes: "Subject grabbed stapler and came at members screaming." At the inquiry, Bentley conceded the note was wrong, but said he was confused about a fast-moving situation. The defence did not call any evidence and denied Bentley colluded with the other officers. Lawyer Peter Wilson argued his client's initial errors were honest mistakes and a product of a fast-paced incident and involvement in an in-custody death. Bentley was the officer who called for an ambulance and alerted dispatchers about his worsening condition, the defence said. "Here's the youngest officer there with the least involvement -- what on Earth did he have to cover up?" asked Wilson. Robert Dziekanski holds a small table before being Tasered at the Vancouver Airport in this image from video.